MigrantCard Informatics cc are specialists in providing plastic card solutions, which includes personalization services and systems. Our in-depth knowledge and expertise puts us ahead in service delivery. MigrantCard offers plastic card bureau services to cater for a wide array of organizations outsourcing their plastic card personalization services. 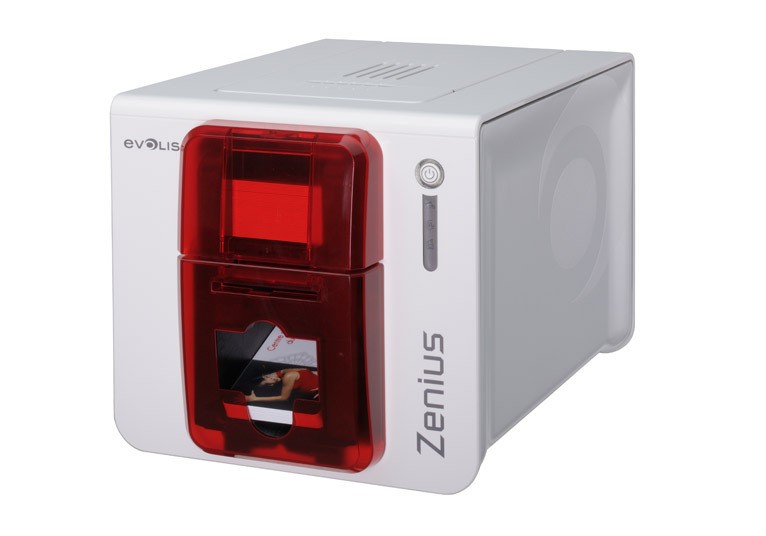 At MigrantCard we stock all major brands of card printers and accessories. 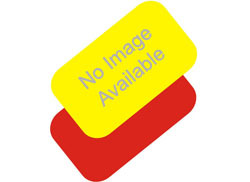 Being an authorized Plastic card solution provider with affiliations to other all major manufacturers, we sell, support and maintain various card personalization systems. We carry out specific analysis of clients needs, offering free creative advice on card designs and personalization taking into consideration cost implications, functionality and other variables as required necessary to outsource your plastic card needs. We Stock ready to install plastic card systems from low cost easy to use, low volume production, to high industrial use card personalization equipments. Our teams of trained engineers are available to assist you in selecting the right system your organizational needs. 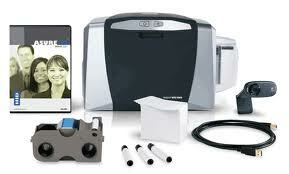 Your Card Personalization equipment is just a call away!!! We assign a relationship officer to each client, listening to your demands and adapting our offer to your specific needs. MigrantCard Informatics Cc also offers Total card Solutions. We define the problem, design the system, develop the application, and deploy the solution. 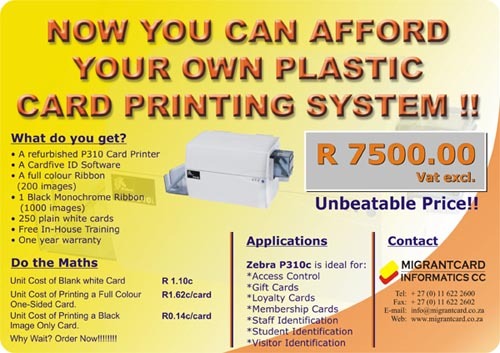 We don’t just sell you the card printer; we also offer you the solution to run your card application.